Rainwater flowing from a trough into a barrel with a screen over it. 1 Is Tap or Rain Water Better for Plants? Don't curse the rain next time you're stuck inside during a drizzle. Rain water was once considered a valuable resource in and around the home, but public water and sewage treatment systems have taught people to depend less and less on collecting and using rain. However, rain water is coming back into use as the public becomes more environmentally and economically conscious. Keep in mind that it is illegal to collect rainwater in some municipalities, and rainwater tends to be of a lower quality when collected in areas with high pollution. Be prepared any upcoming dry spells by turning to your rain barrel for water to irrigate your lawn. 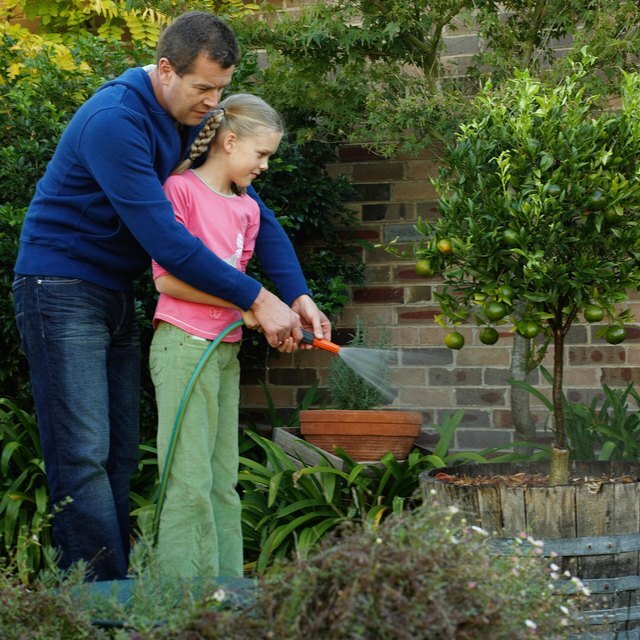 Naturally, rainwater is an easy choice for watering outdoor plants or lawns. Harvesting rainwater for irrigation is growing in popularity in regions that face droughts, especially the Southwest. Rain barrels with hose attachments can be used to spray water from directly, or you can scoop water from the barrel with a pitcher or spray bottle to bring to your plants and lawn manually. In regions not fraught with smog or pollution, rainwater is generally soft and considered good for washing. That goes for cars as well. For those concerned about the environment as well as the look of their vehicle, Planetgreen.com recommends donning a swimsuit and braving a rainstorm to clean your car with biodegradable, phosphate-free car wash product. If it's not raining and you own a rain barrel, scoop a pan of fresh rainwater so you too can avoid waste when washing your car. Obviously, this technique works just as well for motorcycles, bicycles and other modes of transportation. Using rainwater to flush your toilet is a big project and a major investment, but it could lead to long term savings for the planet as well as your bank account. Most rainwater-toilet systems require some type of rain barrel elevated at least a floor above the toilet with an outlet attached to the toilet's supply line. This will offset the waste of processed water used to flush toilets, which makes up 25 percent of domestic water. A 50-100 gallon barrel will typically provide over 50 flushes. Rainwater can be drank or fed to livestock and pets. However, it is recommended that it is filtered and/or boiled first to eliminate pollutants, soil, plant parts, insect parts, bacteria, algae, and sometimes radioactive materials washed out by rain or snow. 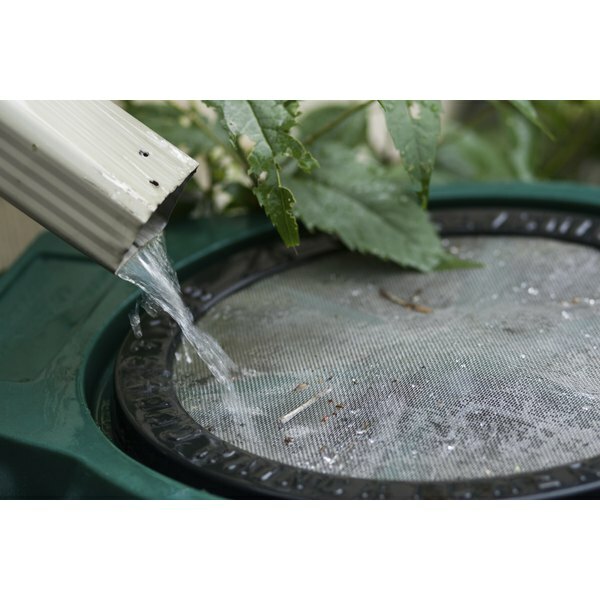 There are several commercial options for filtering rainwater, including portable devices. If you plan to store rainwater for drinking, be sure that your storage unit is secure and clean. Iodine and liquid chlorine bleach can be used to keep stored rainwater safe for drinking.